In the July – September 2018 period, the Republic of Serbia continued extending humanitarian assistance to a large number of migrants, without ascertaining in each individual case whether they were in need of international protection or issuing individual decisions determining their status. BCHR compiled a periodic report on third quarter of 2018 through detailed analysis of the right to access the asylum procedure, with special focus of procedures at the Belgrade airport and the Shelter for foreigners. 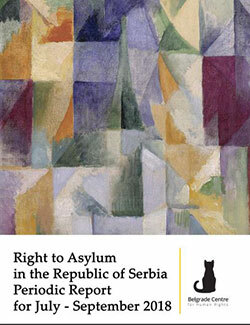 The report also reviews the recent practice of Serbian asylum authorities and analyses individual decisions.